Feyza Kemahlioglu is a young, inspiring and talented woman. She is passionate about creating beautiful glass sculptures, each unique in their shape and color, that add a pop of fun in any room. Whether used as candy jars, jewelry boxes, or filled with floating florals, her sculptural objects are magnificent. She’s expanded her art form to include incredible light fixtures, that truly make a room. I couldn’t get over her combination of glass and metals, in the most beautiful soft colors that gave each room a romantic glow. I am excited to see what Feyza comes up with next, as she’s definitely a woman to watch in interior design. I always seem to be drawn to a neutral palette, both in my closet, and my living spaces. There is something so refreshing, timeless, and soothing about living in a muted home. 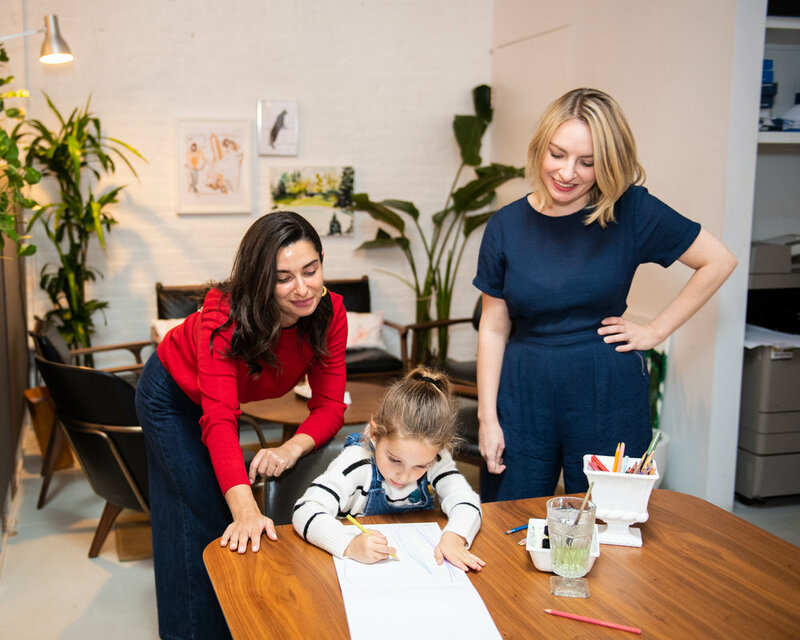 I love discovering new, talented interior designers to share with you, since many of my followers have growing families and are looking for someone to help decorate a new home, that is both kid-friendly and beautiful. One I admire, and appreciate is Alyssa Kapito. I met Alyssa in her Soho showroom for our interview, which looks like a beautiful mini apartment in and of itself. I loved her technique of using multiple textures instead of bold patterns and colors to make a room interesting. She gives a great amount of time and attention to her clients, is a pleasure to be around, and has a great eye. When I first met Katherine Moffett, I was at a dear friend’s birthday dinner, and she was hired to draw every guest at the table in their unique outfits. I thought to myself, how will she draw all of us in such a short period of time? When it was my turn, I stood for her, and in less than five minutes, she had miraculously created the perfect depiction of me that evening. I was impressed! I went to visit her at her workspace downtown, and saw all of her art on the walls, and I couldn’t get over her talent. She sees people in a magnificent way, always making each portrait a fun, lively, version with pops of color. I recently used the family portrait she gifted me as a holiday card, and it was my favorite yet! I highly suggest Katherine for upcoming holiday and New Year cards, as it’s a refreshing take on the typical family photo. She also has a beautiful line of handmade cards and wallpapers she’s designed for purchase. Coming up on three years as an independent designer and artist. I knew I wanted to be a designer as a kid, but I really fell in love with drawing and painting at the School of Visual Arts. One day at an internship, I discovered the book, Marimekko: Fashion, Fabrics and Architecture. It clicked for me that that you could design a whole world, and that the things in it could stem from your own artwork. Marimekko created such excitement with their bold patterns. It encouraged women to BE bold and to mix timely design into their lives. I definitely care about creating beauty, but I also equally care about the emotion and meaning pieces convey. I never want to just leave it at style or match an existing trend. I always look to the work of David Hockney. He never rested on his laurels with what he was doing. He was always on to the next thing. I feel as long as an artist’s life does not become stagnant, neither will the output! Luckily living in this city, it is easy to stay curious about things and envision the future. In addition to drawing and painting individual works, I also am creating a collection of things for home and lifestyle. I recently launched my first wallpapers and am just about to release a line of holiday cards. Each new season is an invitation to think anew about what I’m doing and where I’m headed. I hope to provide clients with delight, but also create a heightened sense of thoughtfulness in what surrounds them. A lot of what I make is inspired by aesthetics of the past, and my curiosity about history, art movements, music, subcultures. I want the subjects I choose to be different, interesting and enriching for the those interacting with my work. Getting inspired, being in the creative flow, seeing the vision manifest, and not having to be in a stifling corporate environment. Not sure if it is a major secret, but my husband proposed at Bar Sixty-five on the sixty-fifth floor of 30 Rock. It is only open during the week and it looks like an intact Art Deco masterpiece (I love Art Deco!) Its a way to get the view of the Rainbow Room for only the price of a martini. I hope for my future children to grow up in a society that is equally created and depicted by women, so I’m starting by utilizing my own feminine eye. I also believe that by surrounding the family with creative and meaningful things (like artwork or playfully designed wallpaper, pillows, and stationery!) the family is encouraged to be creative themselves. It's fun to work with a client that is a little more of a maximalist. I usually tend towards minimalism, but with a little push, I find ways to add things and make something a little more wild or different. A healthy collaboration is just the best. So grateful to my co-working space in Chinatown, Based-in. It's filled with creative collaborators from architects to start-ups, and they tolerate me sprinkling the place with colored pencils and drawings. A frequent collaborator, Amy Morris and Anna Polonsky of The MP Shift design fabulous and trail-blazing interiors for restaurants and hospitality. One of my closest friends, Jackie Klempay, is forging a vital part of the contemporary art scene downtown with her gallery, Situations on Henry Street. About six years ago my then boyfriend, now husband, gave me the advice to study the people I admire. I had only been doing this casually before, but I got serious, made a list, started reading biographies and hunting down details. This practice provides major motivation and helps in defining next steps. In addition, I am always quoting advice from The Artist’s Way by Julia Cameron, THE guide to living a fulfilling, creative life. Not a mom yet, but my best trick comes from a childrens' chapter book! From the Mixed-up Files of Mrs. Basil E. Frankweiler is about a girl who hides out in the Met and is solving an ancient Italian art mystery and at some crucial point of the story the character essentially says, “Five minutes of planning is worth fifteen minutes of doing." I’ve been following Jenny Fuller’s Instagram sketches for a while, as she does great work at the fashion shows documenting new collections in a fun, innovative way. Her silhouettes are beautiful and very detailed, always capturing a style scene in the most artful manner. When I asked Jenny to do a custom sketch of me and my girls for Mother’s Day, I was thrilled with what she chose, documenting us on the beach and in my backyard. She clearly knew where our happiest moments were as a family, and used that as inspiration. Jenny has a knack for design and her custom pieces are the ultimate Mother’s Day gift! When I saw Amelia’s pieces online, I found them especially intriguing. She painted images without faces, leaving some mystery to each work of art. I love that she allows the piece to really lend itself to anyone, since there is no facial recognition, and in the same way, they can be quite personal with the special attention to detail in the figure. Amelia uses her prints on custom phone cases, that are the ultimate gift, and still affordable. I loved making one for my Mama this Mother’s Day, with images of me and Tata! My kids and I love coloring, it’s a daily activity in our house, and it's done mostly using Crayola crayons. When I found this group of lovely friends, who got together to draw with fashion as their inspiration, I had to inquire about custom works. The ladies of CrayolaMode use fun, bright, playful shades to capture special moments, and it brought me back to my childhood. Their pieces are perfect for a children’s bedroom or the family portrait wall! If you are looking for the ultimate gift for just about any occasion, Valleybrink Road is a one-stop-shop. 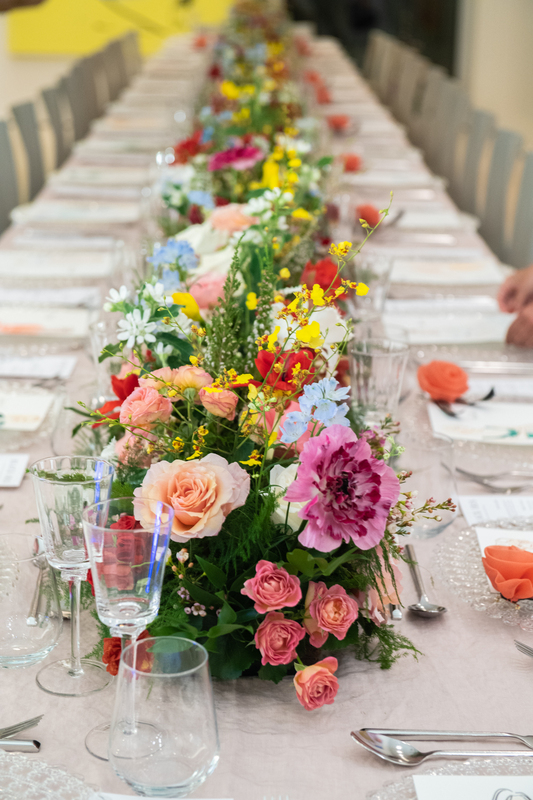 Founder and creator, Barrett Prendergast, has an eye for floral design that is unparalleled and the perfect little beautiful treats to complement her arrangements. Barrett started her company as a hobby. She loved creating these beautiful floral arrangements for friends and family, and from there, the demand poured in, and everyone wanted one of her packages. Whether it be for a birthday, holiday gift, house warming, or thank you, anyone who receives these unique presents are in luck, and each one is made with love by Barrett and her team. It’s so great to see how this company has grown and developed so organically into a big success due the talent and creativity of its founder. A very dear friend of mine, introduced me to Judith, after using her services for many years. We all are victims of clutter! Once we have children, the clutter only gets worse and more difficult to organize. My husband loves everything to be neat and in its proper place. It drives him crazy when the kitchen is a mess or the girls' toys are scattered throughout our home. I’ve noticed that as the years pass, our closets have become overflowing with old and new items, and it’s a bit overwhelming to handle myself, so I’m brought in the professionals. Judith works with her family, and can help get my house back on track. Her favorite device is the old school p-touch label maker, and she uses it to make sure everything has a place. If you are either moving to a new home or trying to get your current home in order, I suggest giving her a call for a fresh start. Ducduc is our top choice for nursery and kids furniture. Tata and I both used Ducduc for our kids rooms since their cribs, changing tables and dressers are top of the line. They create modern, chic, custom pieces that are eco-friendly, luxurious and most importantly safe. There is no sacrifice between functionality and design with Ducduc. Tata chose all of her wood colors, glider fabrics, and hardware to create a modern and soothing nursery. The Ducduc team was so helpful and easy to work with and helped cater to her design preferences. They are the ultimate nursery design experts! We all move at least a few times in our lives, and we all know the stress and angst that comes along with it. It's always so frustrating when your furniture cannot move with you since the measurements never fit the next apartment. My tastes are also constantly changing and evolving with the times, and in the end, there are very few pieces that move along with me. I have found the solution to this problem that truly eliminates the frustration of selling the furniture at massively discounted prices. The company is called Renovation Angel! When it comes to moving, these are the guys you need on speed dial. They can even remove your kitchen if you are renovating. 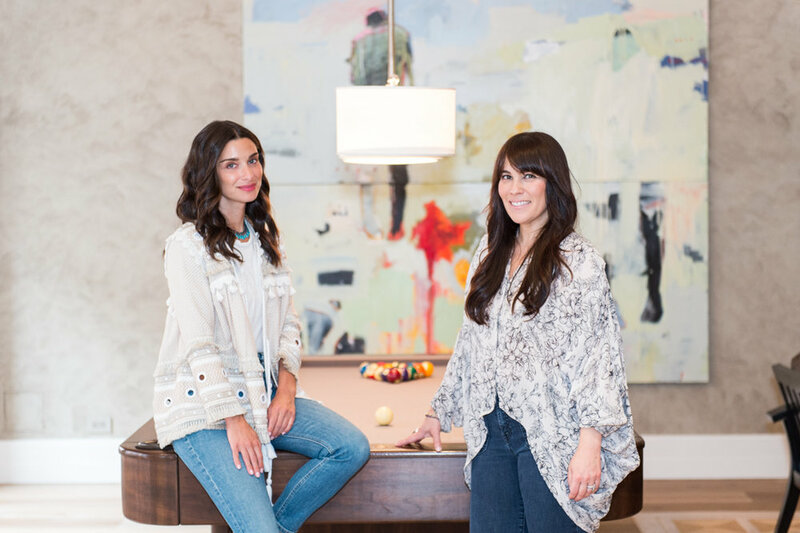 Their team comes to your home and makes an estimate on the cost of each piece, and then hauls off your furniture into a huge warehouse for resale. A good portion of the money goes directly to charitable organizations, meaning a tax deduction for you. It's a win-win! The staff at Renovation Angel are so friendly, efficient and a pleasure to work with. I highly recommend checking out their warehouse in New Jersey to find some beautiful pieces at great prices. 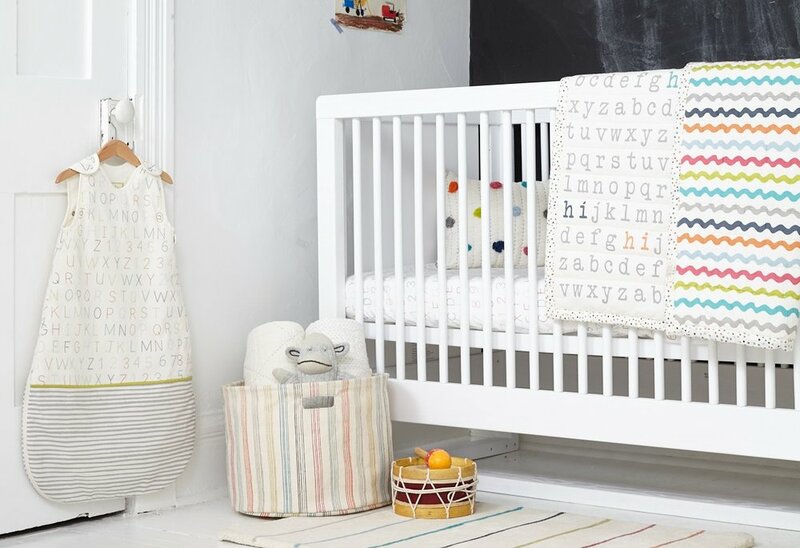 When it comes to nursery and playroom decor, little p is the ultimate find! Philippa is from Australia, and after four children realized there was a real demand for cozy and playful carpets. Her carpets and rugs are of the highest quality, and made of all natural, kid-safe products. They come in various prints and shapes that are the perfect combination of chic and magical. There are mini cloud area rugs for babies to work on tummy time, instead of those unattractive play mats we have all had and hated! Philippa recently produced beautiful baskets that make for great toy storage and pretty room accessories (not to mention amazing baby gifts). When I redecorate my nursery to be more "kid friendly" this year, I will definitely be calling her! Cara Woodhouse has been in the interior design business for over a decade. When we first met, it was through a mutual friend who was designing his Hamptons home. She was lovely, personable, and very professional. When I saw the finished product, I was blown away. It quickly became my favorite home on the east end, and she was able to design it beautifully within a budget. Cara has great focus and is able to give all of her clients the personalized attention and devotion they need, as she does not over commit herself. 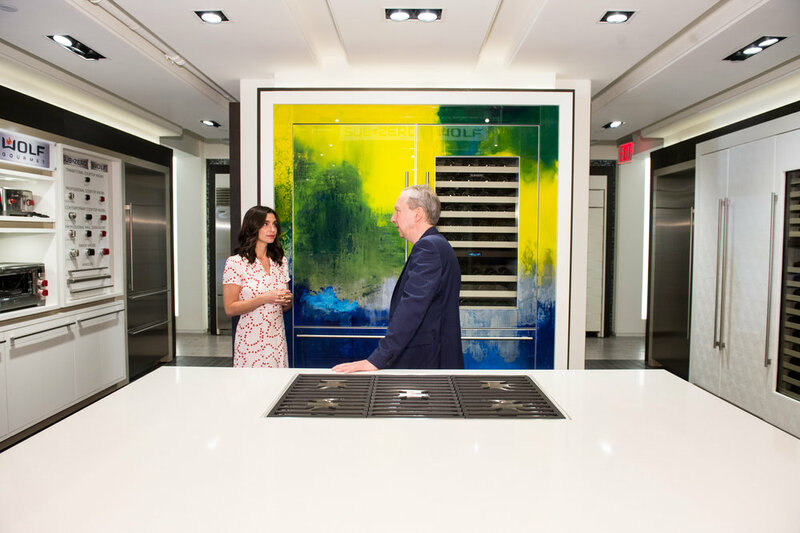 She works all over the U.S., and we recently visited one of her newly renovated projects in Soho, which was very earthy and neutral, but then saw a current project of hers in Deal that had the opposite feel, and was quite modern with pops of intense color. She can clearly do it all, and interprets her client's vision well. If you are designing a home and looking for someone who is easy to work with, and has great taste, check her out! What are 3 words you would use to best describe yourself? How did you get started in your design career? I started my career in corporate design for beauty/ fashion brands. During my 8 years of work in the beauty / fashion industry, I learned countless lessons about design, project management, client relations and marketing. However, during those years, I always felt something was missing and that there had to be a way for me to feel even more professionally fulfilled. 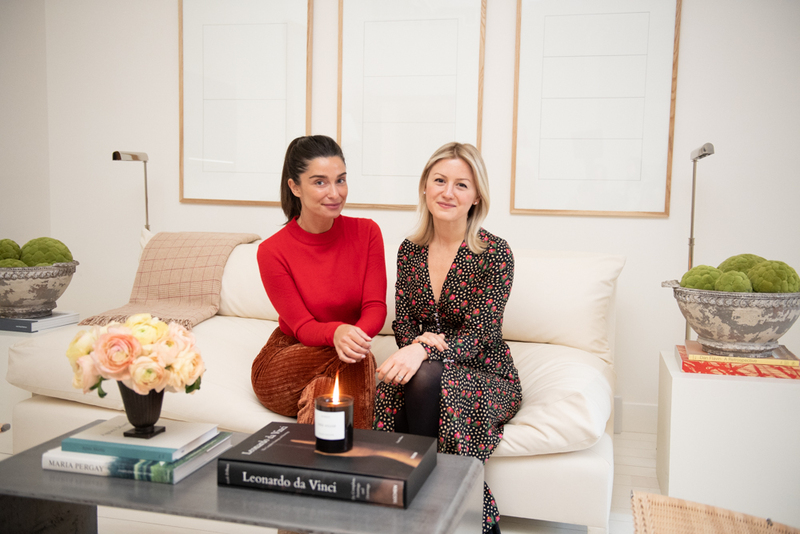 Since I was a little girl, entrepreneurship was a dream of mine; and while I loved fashion & beauty, I soon realized interiors were my true passion. So, I went back to school and got my degree in interior design. I launched my firm in 2009. Having my own company has been an unbelievable amount of work, but it has also taught me so much about what I'm capable of and has been hugely gratifying. Interior design has so many similarities to the beauty/ fashion world, but I love the added layer of intimacy that creating a home for a specific client allows. How have your children helped inspire your work? My children inspire me everyday. It was actually when I was pregnant with my son, that I realized how precious life is and how I should make sure that I am spending each day doing something I love. He's now almost 9, and he loves the idea that he had something to do with me following my passions. My children are a constant reminder to inject joy into my work and to always keep things in perspective. Their optimistic outlook on life and philosophy of endless possibilities inspires me not only to push the boundaries in my design work but also in my life as a whole. What are your favorite home decor brands for children's bedrooms and nurseries? I love designing children's rooms - it's a time I can really be creative and let my playful side shine through. I am a big believer that children's rooms should always feel a bit magical, but they should also have a sense of understated sophistication so the child can grow with the room throughout their childhood. Some of my favorites for children's furnishings are Restoration Hardware Baby & Child, Duc Duc and Serena & Lily. I'm a fan of Sissy & Marley and Trove for whimsical wall coverings and Bella Notte for bedding. 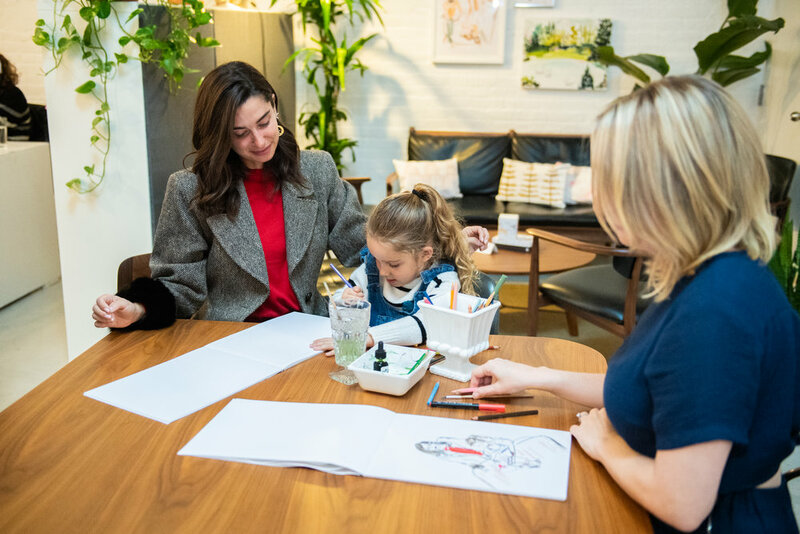 Most importantly, I like to include elements that are not from a traditional kids showroom such as a show-stopping chandelier, a really cool chair in an unexpected fabric, a hand-woven vintage rug or a piece of art that connects to the child and his/ her interests. These elements are what makes the room feel authentic and unique. Who is a female role model you admire and greatly respect in your field? There are so many amazing women in my field, and I consider myself lucky to have so many wonderful role models to help guide my journey. The woman who has served as my greatest inspiration though is Kelly Wearstler. I love everything she stands for both in the way she has developed her business and her design philosophy itself. She has created an empire by not being afraid of taking chances and being different. When she started out, she was a pioneer in her style of design and rather than try to fit into the design landscape, she made it a point to stand out. That energy and confidence is what I admire most. Her design is over the top yet relatable and luxurious yet comfortable. In my eyes, it is design done perfectly. And of course the fact that she has accomplished all of this all while raising a family is even more impressive. How do you help families stay organized and neat with your design? What are some great tips for keeping kid's spaces tidy? As the majority of our clients are-NYC based, space and storage are always two key considerations. While I pride myself on creating beautiful spaces, functionality is just as important. After all, homes are not museums. So, we make it our mission to design homes that truly meet the needs of each individual family. We are big on creating tons of storage in any space the children will be in and making sure that the storage itself is a design feature. We often use side or work tables that have a removable tabletop and can do double duty as a toy storage bin. Built-in millwork in a fun finish like a high gloss lacquer can house tons of books, art supplies, board games and a host of other things without taking up a large footprint of space. And so many retailers now are offering great canvas bags with leather handles, pom poms or embroidery that are adorable on the floor of a playroom or a kids bedroom, and they are great way to quickly store a mess! I am a fan of doing labels in a stylish, kid friendly way so the kids can also help keep the space organized. For example, you can embroider a set of canvas bins with words (or pictures for the toddler set) with labels such as art, books, dress up, stuffed animals etc and then kids can be responsible for putting their toys the right place when it's time to clean up. Finally, I love murals! They are an amazing way to give a child’s space flair and personality, and then elements of the mural can be used in the storage solutions. For example, in a ferris wheel mural, each cart can actually be a storage bin. Being a career woman, philanthropist, mother and wife, you must have very limited "free time." How do you carve out time for yourself and how do you like to spend that time? I love how my days are filled with so much variety. I consider myself very lucky to be able to follow so many of my passions and to have the unwavering support of my husband and children, but you're right - "free time" is definitely limited. I really try to make weekends family time. I rarely will make daytime plans on a weekend that don't involve my family. 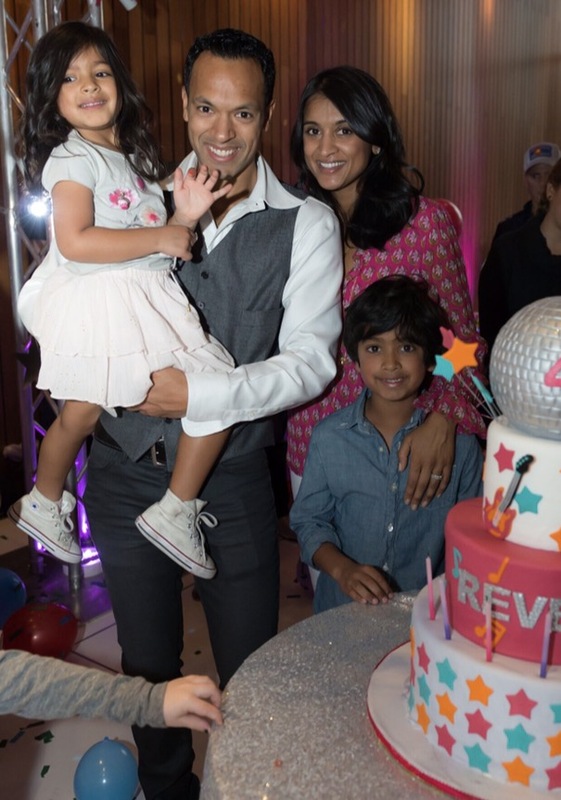 My family is my greatest source of strength and happiness, so getting to spend uninterrupted time with them is the best way for me to both take a breath and re-energize. I'm also a fly barre devotee. That class just makes me feel strong and centered. I make it a priority to get myself there 4-5 times a week. And lastly, my girlfriends are my therapy. I am a firm believer that a glass of wine and some laughs with a dear gal pal can make pretty much any situation seem brighter and better. What are your favorite children's books and since you have such a stylish eye, what books have your favorite illustrations? Reading is a special time in our house. I love not only that it introduces my children to new worlds and new possibilities, but also that it provides such intimate, loving and quiet time for our family. I am concerned about how much more scheduled my children are than I was at their age and how much exposure they have to technology at a young age. I love that reading provides an escape from all of this and gets back to the roots of what childhood should be about. There are so many wonderful lessons to be learned from children's books - for both adutls and children! And of course, instilling a love of reading and learning at an early age is something that I think I will serve them well as they approach their school years and their lives on a whole. It is so hard for me to pick only a handful books as I think different kinds of books have different merits, but all of the books that my make list focus on kindness, generosity, self belief and/ or humor. So, here are some of my favorites: The Giving Tree, Where the Wild Things Are, New Kid In Town, The Day the Crayons Quit, Giraffes Can't Dance, and I Want My Hat Back. As for the illustrations, Where The Wild Things Are makes this list as well for me. Some other favorites are Madeline, Swan and Iggie Peck Architect. Raising children is such a privilege. To get to see these little people who you love in a way that is indescribable grow and learn and change is life's most beautiful gift. My children have given me so much and in return, my hope is to give them a foundation that will serve them well for their lifetime. People always tell me (and I completely agree!) how different my kids are from each other, but I take a lot of pride in knowing that the few characteristics they share are the ones that are most important. They are both kind, generous, sweet souls. I hope those are values that stay with them forever. Kindness, gratitude and humility are really big in my book. If they approach life from a place of kindness, gratitude and humility, that would make me one very proud mama. From a very early age, I have been motivated by humanitarian causes. My parents have the craziest stories about how I would approach groups of homeless people when I was a child and we would visit developing countries. I don't feel like I want to help people but rather that I need to. It's not really an choice for me. As I got older and especially after having children, that hunger grew, and I spent countless hours trying to figure out how to be most impactful. There are so many worthy causes out there, but for me, improving the lives children has always been my biggest motivator. UNICEF quickly stood out as my first choice for its reputation and its impact. I wanted to be sure to be involved in an organization where the majority of funding went directly to the cause rather than logistics of running it. 90 cents of every dollar donated is programmatic for UNICEF USA which is quite rare among non profit organizations. UNICEF consistently impresses me with their dedication, expertise, breadth, international relations and programmatic diversity. Sitting on the NY Board of UNICEF USA is one of my most proud affiliations. How have you shared the importance of generosity and giving with your children? I think teaching by example is the best way. The idea of helping others is something we always talk about. Not only in the philanthropic sense but in the simple sense as well. Like if you see a friend struggling, how can you help? Over the years, my children have seen how important humanitarian work is to me, and each of them have approached me on how they too can get involved. At the age of 3, my son asked me if there was a way he could share the work UNICEF does with his nursery school classmates. I worked with UNICEF USA and his nursery school to create a week long program at his school so the kids could first hand see one of the UNICEF programs. The response was incredible! This year for my daughter's 5th birthday, she wanted to create a Crowdrise page benefitting UNICEF and ask her friends to support that in lieu of presents. Both of my kids are also huge fans of the UNICEF Kid Power program that enables kids to wear a band around their wrists that measures their activity. When they earn a certain number of activity points, they "unlock" packets of food to feed children in the developing world. It is a fun, interactive way for children to help children. Generosity is a core value in our household, and I will do everything in my power to continue to instill this in my children. The Strand's Books by the Foot service is the perfect way to build a library when you don't know where to begin. They give great book recommendations and find beautiful covers to fill your bookshelves. At an additional cost, they even have an in home design service to arrange your books in a beautiful display in your home. Tata had a lot of fun browsing through their endless stacks of books to find all different topics and some great summer reads! Check out their books by the foot service if you are looking to fill those empty bookshelves! Everyone who has children knows the mess that comes along with them! I used to put clear plastic circles on the floor surrounding my girls every time they sat for a meal to avoid the red berry, tomato sauce, and pesto stains. They were very unattractive, but I had no other choice until now! 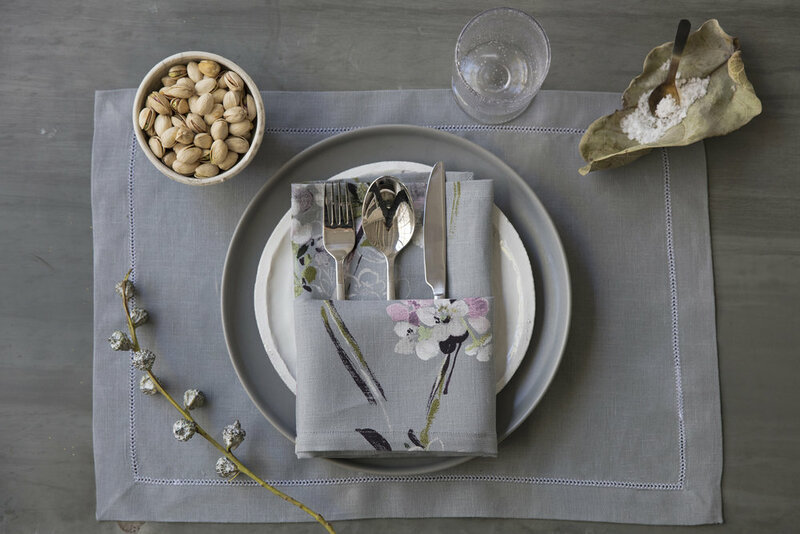 The gals at Mode Living have created the chicest line of table linens, napkins, and runners that are made in a special material which allows them to remain stain-free! Genius! We even tested them with some red wine and these linens passed our test; they are luxurious, durable, and at a great price point. They have a huge assortment of designs from simple neutrals to fun patterns and polka dots. 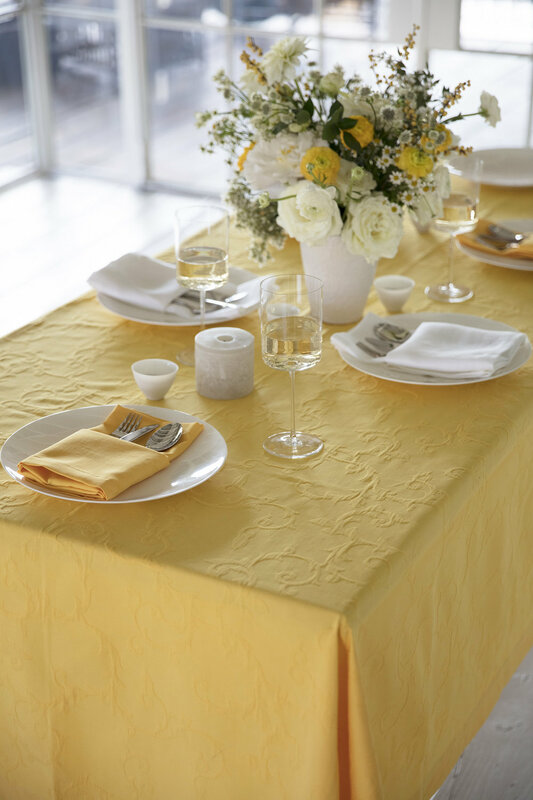 We recommend these linens for all of your dinner parties and celebrations coming up! Happy shopping with our special discount code MAMATATA! I love searching for amazing gifts to give to friends and family. I take pride in unique finds that most people have never seen. When I stumbled on this new bedding company for children, called Snurk, I hit the jackpot! Snurk has created a line of beautiful bed linens with incredible graphic designs. They have everything from ballerinas and mermaids, to dinosaurs and astronauts printed on the duvet and pillow cases. Every child can go to bed making their dreams come true playing dress-up at bedtime! It's a way to make bedtime and sleep enticing for kids, and we know they can all throw some epic tantrums when it's time to turn off those lights. The company started in Europe and has hit the states just recently, so I'm excited to bring their launch to your attention. Happy shopping! Petit Pehr is where you can find all you need for your nurseries and kids rooms. This is the site to pick up cute hampers, toy bins, swaddles, mobiles, crib sheets, and now kids bedding. Their site runs the gamut for nursery accessories and decor, but our personal favorite were the pom pom bins which we filled with toys for our kids. Their storage bins come in all different patterns and sizes, and make a fun and sweet addition to any baby or kids room. We were super excited to try out their kids alphabet bedding and my girl loved it!